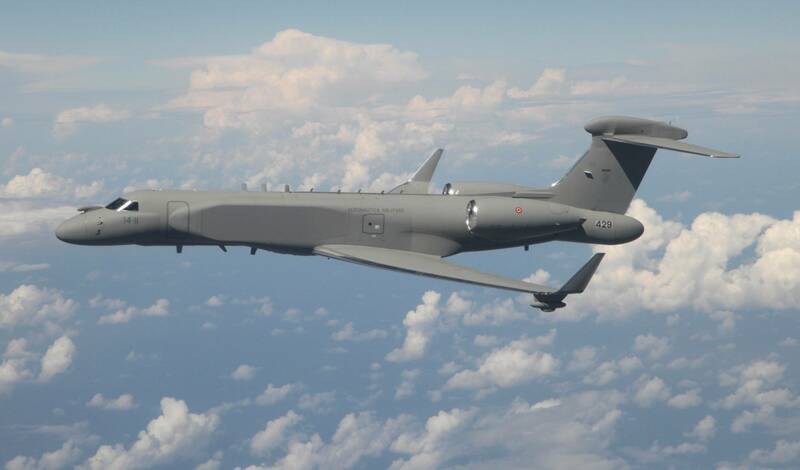 Israel Aerospace Industries (IAI) has delivered a Conformal Airborne Early Warning and Control (CAEW) aircraft to the Italian air force. Based on the Gulfstream G550 business jet, it is the first of two aircraft that Italy agreed in 2012 to take as offset for the Israeli air force purchase of 30 Leonardo M-346 jet trainers. The second one will be delivered in 2017. According to the director of the Israeli Ministry of Defense’s Directorate of Defense Research and Development (DDR&D), the offset deal is worth more than $1 billion. “The cooperation is very significant to Israeli industry, and allows for the development of advanced technologies to be used first and foremost by the Israeli Defense Force [IDF],” said Bg Gen Dr. Daniel Gold. The IDF introduced the CAEW in 2008; since then IAI has made public no specific details of an upgrade. IAI president and chief executive officer Joseph Weiss referred to a “joint development among IAI, Italian industry and the Italian Ministry of Defense. We look forward to continuing this model of international cooperation with additional countries and customers,” he continued. The only other export customer for the CAEW to date has been Singapore, which has bought four of them. The core of the G550 CAEW for Italy, as described this week by IAI, is an Elta Systems active electronically scanned array (AESA) four-dimensional radar providing 360-degree detection, identification and tracking of airborne and surface targets. An electronic support measures (ESM) system is fully integrated, to measure emitters in 360 degrees at a wide range of frequencies. The aircraft is also fitted with a 360-degree self-protection system (SPS) that includes active and passive sensors, and countermeasures against incoming missiles. The Italian aircraft have a NATO-compatible communications system that has been jointly developed by Elta and Leonardo. Elta also provides ground support including a ground station for satellite communication; a mission support system; and an operator training system.